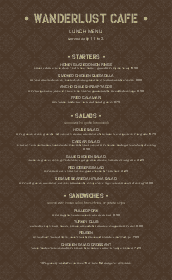 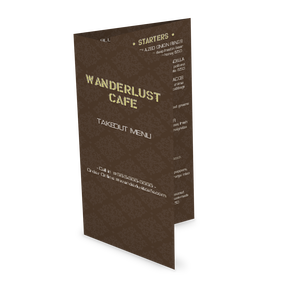 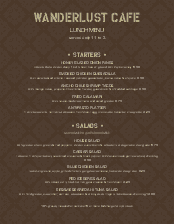 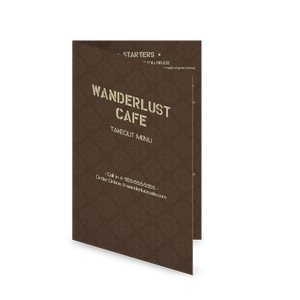 This cafe menu features a brown background with a floral, geometric pattern overlay. 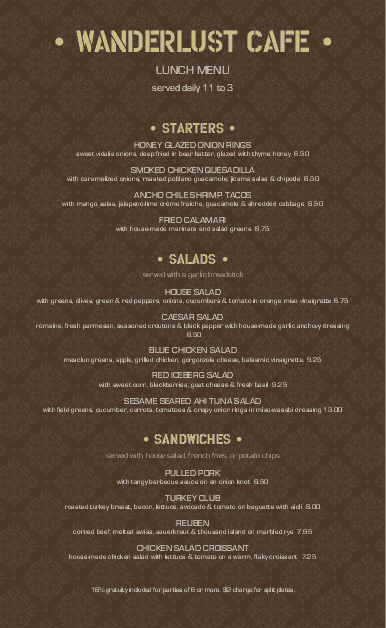 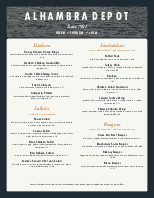 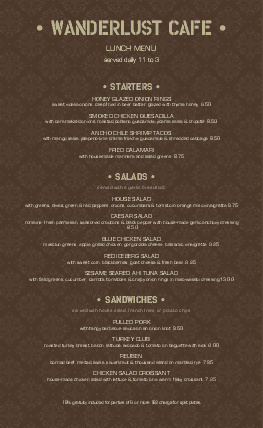 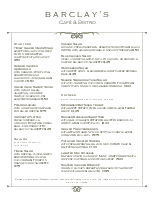 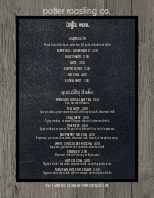 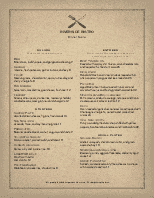 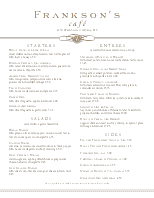 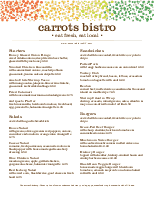 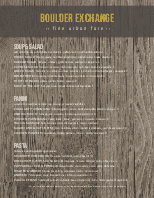 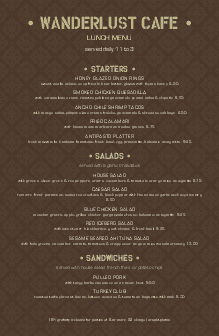 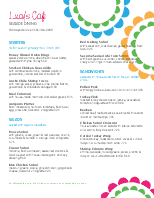 Your restaurant name and menu sections appear in a contrasting font to draw attention to specialty items. 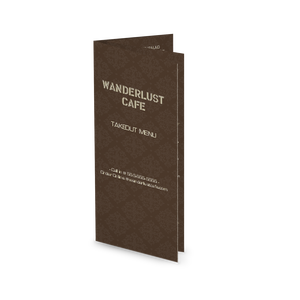 This damask design can be fully customized for your cafe or restaurant.